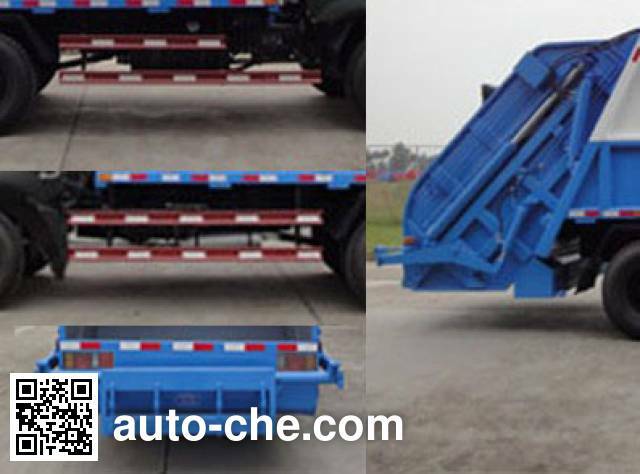 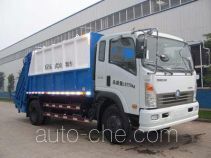 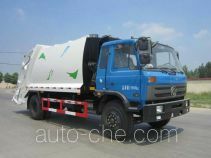 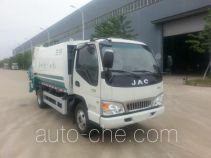 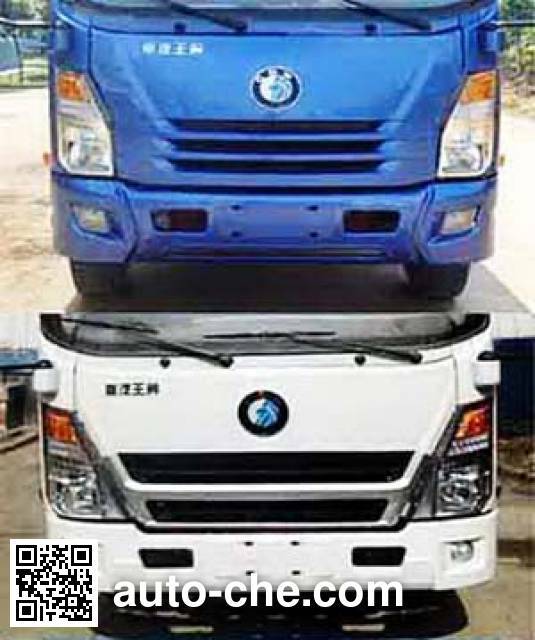 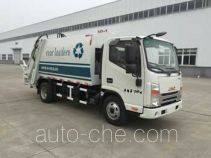 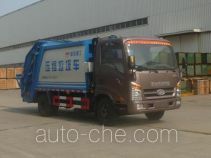 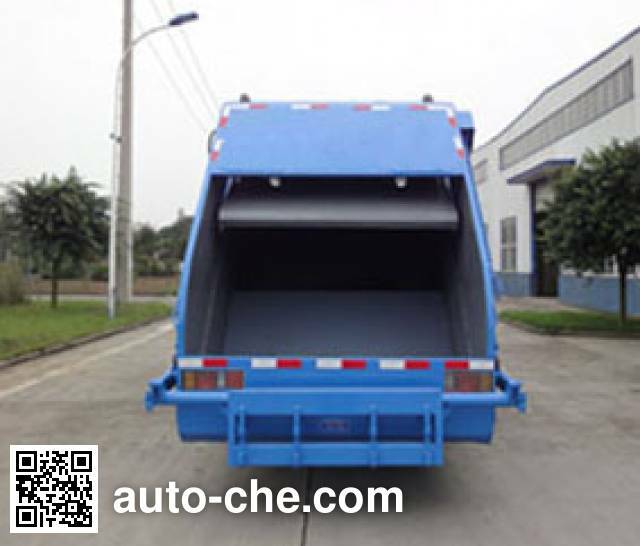 Sinotruk CDW Wangpai garbage compactor truck CDW5110ZYSA1B4 (batch #288) based on CDW3110A1B4 chassis is made in China by Sinotruk Chengdu Wangpai Commercial Vehicle Co., Ltd. 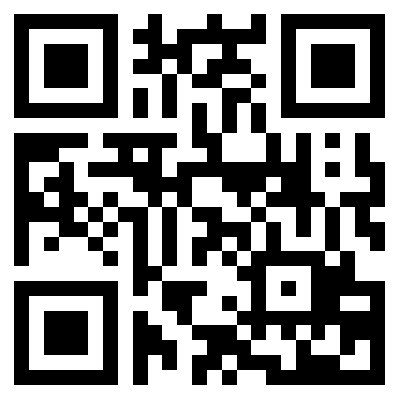 The company is located in Chengdu, in Sichuan Province, China. 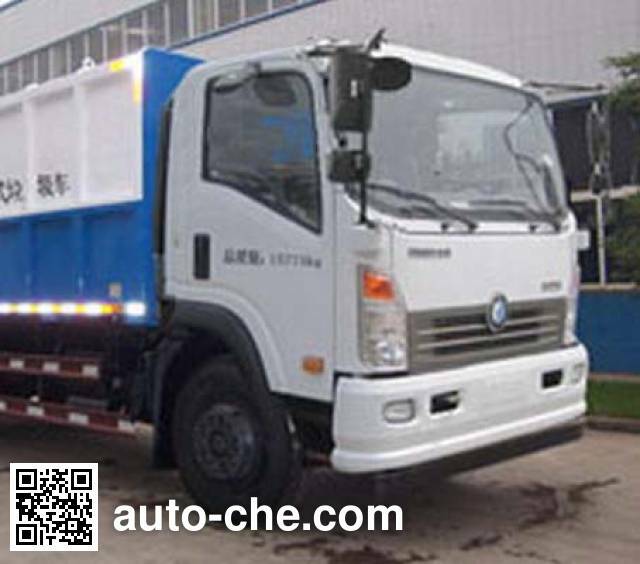 1 YC4D130-41 4200 cc 4.2 L 257 cu in 96 kW 131 hp Guangxi Yuchai Machinery Co., Ltd. 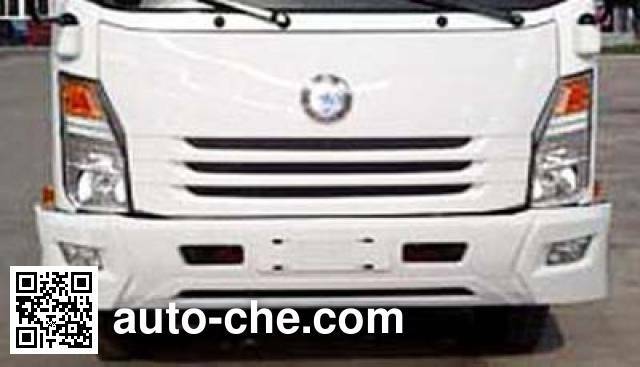 Optional front face and bumper, and optional front bumper face, optional single-row cab; fences are made of pressed steel Q235, are used bolt connection; rear protective device by a dedicated alternative; ABS Model: CM4XL -4S / 4K (4S / 4M) manufacturers are: Guangzhou Bureau of automotive electronic control technology Co., Ltd.